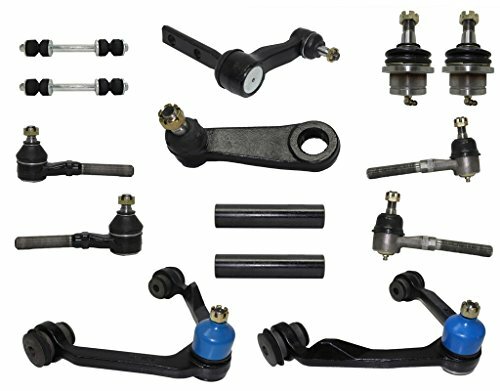 Front Passenger Side U-Joint Axle Shaft - 74759 Fitment: 1994-2001 Dodge Ram 1500 4WD Detroit Axle suspension kits are manufactured to exceed original equipment standards and provide a better riding vehicle. We are a leading supplier of ride control products to OE vehicle manufacturers Nationwide, that expertise translates to Detroit Axle's OE-quality Aftermarket. 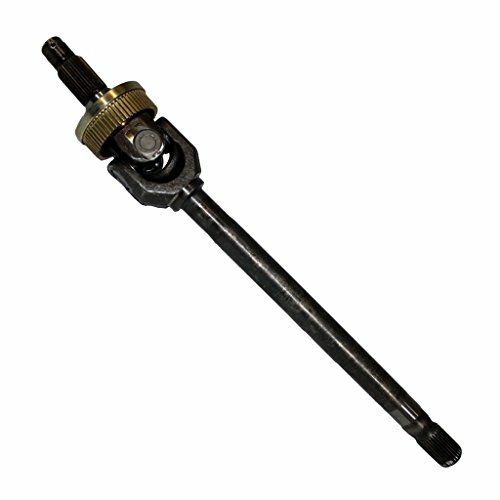 Spicer Front Axle Shaft. Application specific design and engineering, quality materials, precision manufacturing processes, and statistically controlled testing processes are what differentiate Spicer products from competitors. 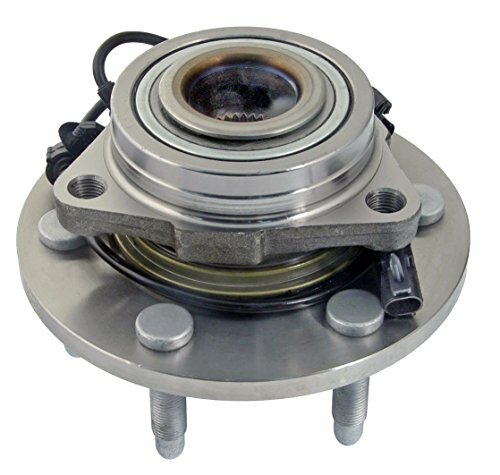 Spicer parts are built to meet or exceed the application-specific original equipment (OE) specifications. 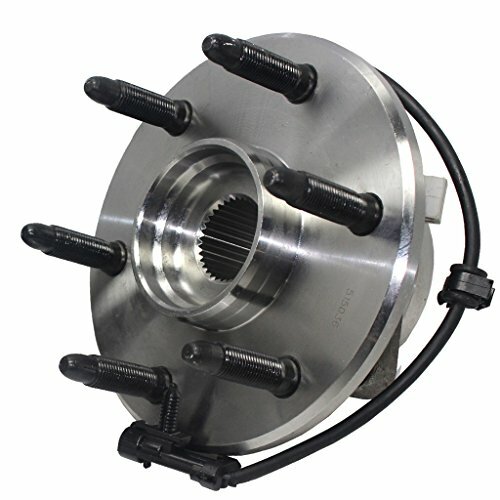 Front Wheel Hub & Bearing Assembly (Driver or Passenger Side) - 515096 Fitment: 2007-2014 Cadillac Escalade 4WD 2007-2014 Cadillac Escalade ESV 4WD 2007-2013 Cadillac Escalade EXT 4WD 2007-2013 Chevrolet Avalanche 1500 4WD 2008-2013 Chevrolet Silverado 1500 4WD 2007 Chevrolet Silverado NEW BODY 1500 4WD 2007-2014 Chevrolet Suburban 1500 4WD 2007-2014 Chevrolet Tahoe 4WD 2008-2013 GMC Sierra 1500 4WD 2007 GMC Sierra 1500 NEW BODY 1500 4WD 2007-2014 GMC Yukon 4WD 2007-2014 GMC Yukon XL 1500 4WD Detroit Axle wheel hubs are manufactured to exceed original equipment standards and provide a better riding vehicle. We are a leading supplier of ride control products to OE vehicle manufacturers Nationwide, that expertise translates to Detroit Axle's OE-quality Aftermarket. 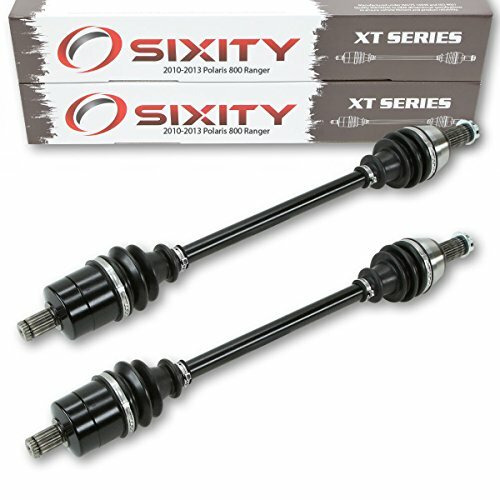 The Sixity XT Axle is a versatile Constant Velocity axle (also known as a CV axle shaft or CV joint axle shaft) that can handle a broad range of ATV and UTV trail terrain. The durable Sixity XT Axle, offered at a fraction of the cost of OEM axles, withstands terrain oscillation and harshness while ensuring riding agility. When it comes to 4-wheelers or side-by-sides, axles are one of the most important components, and depending on the rider, terrain, engine, and vehicle, they, like any other part, can fail. Before failure, there are signs and symptoms of a worn and damaged axle or CV joint to watch for including loud clicking noises when making a turn, a clunking sound when accelerating or decelerating, humming or growling noises, or a shudder or vibration when you accelerate. 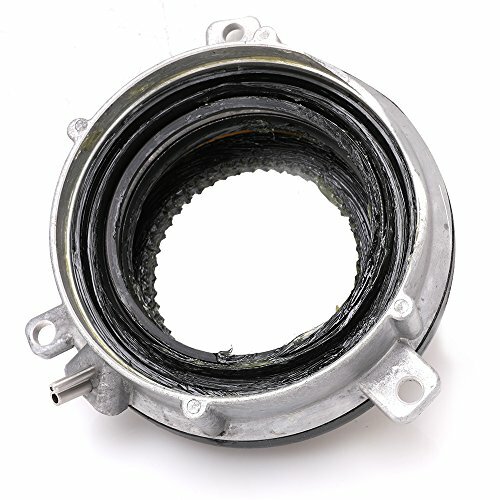 If this sounds all too familiar, it might be time to for an axle replacement. Whether looking for a rear or front CV axle, rely on Sixity and our years of powersports expertise, along with our incredible selection, to help you find the exact axle for your particular ATV/UTV vehicle application. 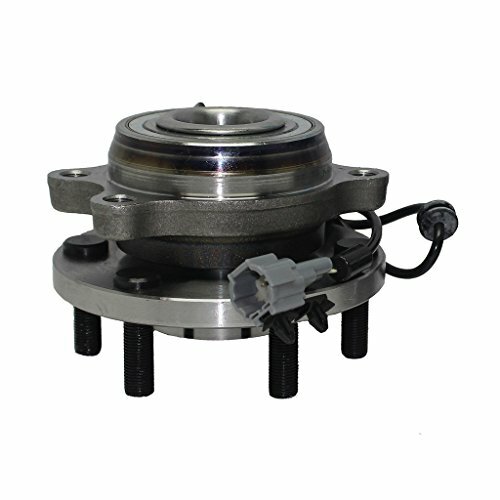 2x Front Wheel Hub & Bearing Assembly (Driver & Passenger Side) - 515096 Fitment: 2007-2014 Cadillac Escalade 4WD 2007-2014 Cadillac Escalade ESV 4WD 2007-2013 Cadillac Escalade EXT 4WD 2007-2013 Chevrolet Avalanche 1500 4WD 2008-2013 Chevrolet Silverado 1500 4WD 2007 Chevrolet Silverado NEW BODY 1500 4WD 2007-2014 Chevrolet Suburban 1500 4WD 2007-2014 Chevrolet Tahoe 4WD 2008-2013 GMC Sierra 1500 4WD 2007 GMC Sierra 1500 NEW BODY 1500 4WD 2007-2014 GMC Yukon 4WD 2007-2014 GMC Yukon XL 1500 4WD Detroit Axle wheel hubs are manufactured to exceed original equipment standards and provide a better riding vehicle. We are a leading supplier of ride control products to OE vehicle manufacturers Nationwide, that expertise translates to Detroit Axle's OE-quality Aftermarket. 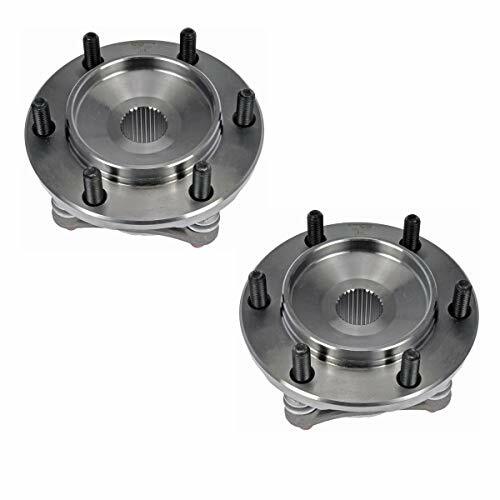 2x Front Wheel Hub and Bearing Assembly - Driver and Passenger Side - 950-001 Fitment: 2010-2016 Lexus GX4602003-2009 Lexus GX470 2003-2016 Toyota 4Runner 4WD2007-2014 Toyota FJ Cruiser 4WD2005-2014 Toyota Tacoma 4WD Detroit Axle wheel hubs are manufactured to exceed original equipment standards and provide a better riding vehicle. We are a leading supplier of ride control products to OE vehicle manufacturers Nationwide, that expertise translates to Detroit Axle's OE-quality Aftermarket.